The Sweet Truth for a Sweet Tooth. | Love Yourself Through It! The Sweet Truth for a Sweet Tooth. Ok, so here is the stevia blog that I did a while back. I hope it helps you in you search for the sweet truth for your beverages of choice. Stevia has gotten so much hype and has grown so much in popularity that you don’t have to visit your local health food store any longer. Most grocery stores now carry some kind or brand of Stevia. But before you just grab up a package, make sure you check the ingredient listed on the packate. Many brands have added ingredients that are harmful. Today I’m focusing on the white powder form, usually found in little packets. That’s what I use to sweeten my tea. 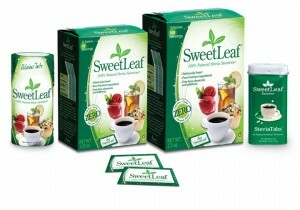 Ok, stevia is not technically a sweetener, it’s an herb that just happens to be sweet. And since Stevia is not a sugar it does not affect blood sugar levels, in fact it is proven to regulate blood sugar and is also known to help lower blood pressure. I know, why didn’t we know about this before?! 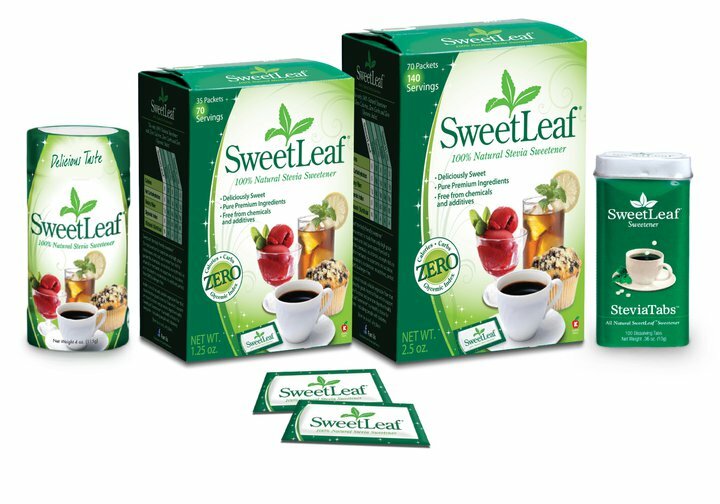 SweetLeaf is the only chemical-free, zero-calorie, zero-carb, zero-glycemic index, 100% natural sweetener there is. It’s made by taking the highest quality leaves of the Stevia plant and extracting their naturally sweet taste with only cool, purified water. No chemicals. No alcohols. No additives that cover up the great taste nature created. It has been said that Stevia may help individuals improve insulin production (great for diabetes sufferers) and can help with hypertension (high blood pressure). 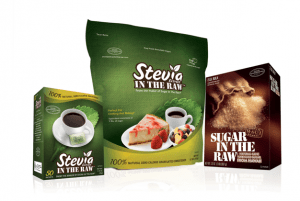 Stevia in the Raw – has Dextrose and Maltodextrin listed in the ingredients. There are other bad choices on the market, including Whole Food’s 365 brand ( WTF?? I KNOW!) so make sure you check the ingredients before purchasing. What is dextrose and why is it added to Stevia Extract In The Raw? Dextrose is a natural carbohydrate derived from corn. Many sugar substitutes in powder form contain dextrose because it is a natural ingredient and does not change the flavor of the sweetener in the blend. In our packet product, dextrose is used to dilute the very potent Rebiana extract to make it measurable for consumers; it does not alter the naturally sweet flavor of the Stevia. What is maltodextrin and why is it added to Stevia Extract In The Raw Cup For Cup? Maltodextrin, like dextrose is a natural carbohydrate derived from corn. Many “cup for cup” sugar substitutes in powder form contain maltodextrin because it is a natural ingredient that does not change the flavor of the sweetener in the blend. In our cup for cup product, maltodextrin is used to dilute the very potent Rebiana extract to make it measurable for consumers in cup for cup sweetening equivalency as a sugar replacement; it does not alter the naturally sweet flavor of the Stevia. The truth is that both of these ingredients are harmful for us. I could write a whole blog post on just this topic, but for now I’ll just give you the skinny version. Dextrose – Dextrose is simply a form of glucose. Some food packagers like to use “dextrose” on their packaging instead of “glucose” because consumers have negative associations with glucose. Dextrose is derived from starchy food ingredients like rice, wheat, or potatoes but it is usually GMO (Gentically Modified Organism) Corn. Maltodextrin – It is produced from rice, potato or corn starch. It is known to contain MSG and it doesn’t need to state that on the ingredient label. It is also known to affect blood sugar levels and cause tooth decay. I also do not recommend Truvia because it is a blend of Stevia, erythritol and natural flavors. Erythritol is classified as a sugar alcohol. Sugar alcohols are sugar substitutes that are either extracted from plants or manufactured from starches. Sugar alcohols are not completely absorbed into your body and therefore can cause gas and bloating. Hello, this is why we get gassy when we eat sugar free candy. The process in which manufacturers make erythritol is usually by fermenting sugar inGMO corn. Nothing processed like this is good. Remember we are trying to get rid of the processed crap. Now they are dressing it up like the good guy and hoping that we are not smart enough to understand what they are doing. So, my view on this is why consume something that will effect our bodies in a negative way when we can simply choose to enjoy the benefits that Stevia has to offer? Remember, it’s all natural, and should be closest to nature as possible. You CAN grow your own stevia and harvest your own leaves. If you don’t have time to do all that….please take an extra couple of minutes to read the box. Stevia that is as pure as it can be is the one you want. You don’t have to eat chemicals. Well….you don’t have to eat as many. Time to open our eyes and live, y’all. Know yourself, fix what is broken if you can. Love yourself through all of it…and make better choices for yourself. It’s all about the love, and that love has to start with self love. ← Oh Sugar. Why you gotta treat me so bad?